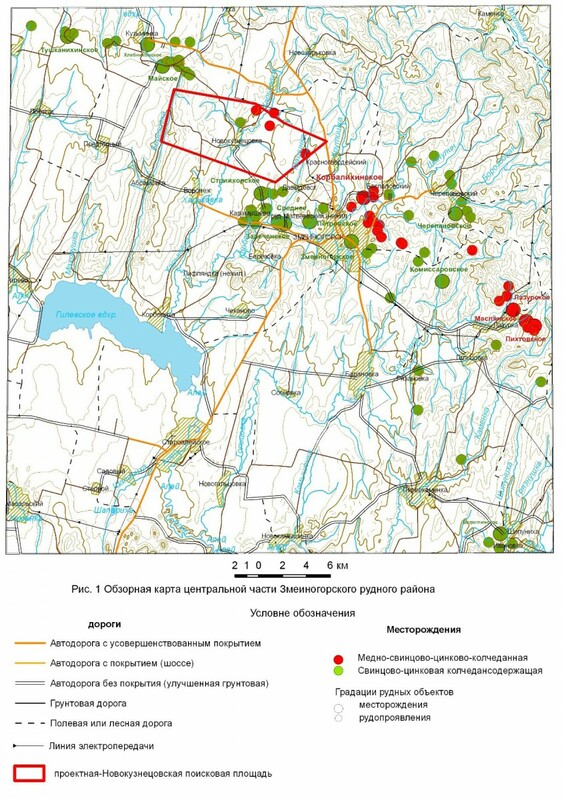 In the period from October 11 to November 25 of 2015 geophysical works were carried out using the Electromagnetic Sounding and Induced Polarization (EMS-IP) technology at the Novokuznetsovskaya license area for the search for polymetals near the city Zmeinogorsk in the Altai Territory. Zmeinogorsk is located to the south of the border of Novokuznetsovskaya license area. Within the area the vilage Novokuznetsovka is located. Near the area several villages are located connected by roads and dirt roads. A highway (R-370) -Barnaul-Ust-Kamenogorsk and a high-voltage power line go through Zmeinogorsk. The railway station Rubtsovsk of the West Siberian Railway locates in 90 km to the north-west of Zmeinogorsk.